This section of the site contains local information for guests at our holiday cottages, situated just outside the village of Pontardawe in the heart of South Wales. Our holiday cottages enjoy a secluded location on an old country estate, a mile from the rural hamlet of Cilybebyll and village of Rhos, two miles from the town of Pontardawe, five miles from the large town of Neath and ten miles from the major city of Swansea. The following information will help you to get a feel for the local facilities and amenities, especially if you have never visited South Wales before. All our cottages have a very popular information folder which has more detailed information about what to do and what to see in the area. Butchers. Subject to availability, there are local farmers who will deliver Welsh Mountain Lamb and Welsh Black Beef to our cottages. Pontardawe is home to a good butchers selling good quality local meat and also worth a mention is Neath Indoor Market which is famous for its award winning butchers who sell excellent local produce. Car Boot Sales. If car-booting for bargains is your thing then go to Singleton Hospital Car Park, Swansea on a Saturday morning (14 miles from our holiday cottages). Weather permitting, the sale starts at 5:30am and ends around midday. With stunning views of Swansea Bay, it can get quite busy in the summer. Other local car boot sales include Clydach Market, Garngoch Superstore in Gorseinon and Station Road, Port Talbot. For a list of all local car boot sales see www.carboots.tk or the local newspaper. Cashpoint. The nearest cashpoint is less than two miles away at Tescos, just off the A4067 in Pontardawe. Cinema. Pontardawe Arts Centre, some two miles from our holiday cottages, is home to an excellent art-house cinema. The residential Pontardawe Film Society provide art house movies as well as the latest blockbusters. If you fancy a trip to the multiplex, then Swansea has a ten screen Odeon in Parc Tawe and Port Talbot has Reel Cinema which is situated in Hollywood Park, on the sandy beachfront of Aberavon overlooking Swansea Bay. Both these cinemas are roughly ten miles from our holiday cottages. Flowers. Fresh flowers are available from local garages, supermarkets and a specialist flower shop in Pontardawe who can also deliver. Food Shop. The nearest food shop is in the village of Rhos, one mile from the holiday cottages. Turn left at the end of the farm drive and continue downhill until you reach the main road (A474). The shop is at the junction ans is open 7 days a week. A short distance further, is a 24-hour Tescos supermarket in Pontardawe. Fuel. There is a Texaco and Tesco Service Station within two miles of the holiday cottages. The Tesco fuel station is open 24 hours 7 days a week. Leisure Centre. There is an excellent leisure centre in Pontardawe, 2 miles from the holiday cottages. It has has badminton courts, squash courts, a weights room, indoor bowls centre, all-weather floodlit playing field, wheelchair access and disabled facilities. To book a court ring 01792 830111. Library. There is a library in Pontardawe, some 2 miles from the farm cottages. Local Newspaper. The local newspaper is the Swansea-based South Wales Evening Post which offers local news, features, sport and listings of what’s on in the Swansea/Neath/Port Talbot and Llanelli areas. It is famed as being the paper where Dylan Thomas cut his journalistic teeth and is usually available after lunch every day. Wales’s only ”˜national’ English Language daily newspaper is the Western Mail, though it is quite south-centred. It is a mixture of local, Welsh, and British news with a token smattering of international news. Its Sunday stable-mate Wales on Sunday which is great if you are interested in Z-list Welsh celebrities or Welsh sport. Newsagents. The nearest newsagent, post office and general store is in the village of Rhos, a 15 minute walk or 2 minute drive from your self catering cottage. Turn left at the end of the farm drive and continue downhill until you reach the main road (A474). The shop is at the junction. Post Office. There is a post office situated at the back of the general store in the village of Rhos, 1 mile from the cottages. There are three post boxes within a mile of the cottage. Pubs. There are hundreds of pubs to choose from. We have our particular favourites so here are is a quick guide: The nearest good local pub is The Smiths Arms in Rhos, a twenty minute walk from our holiday cottages. The Butchers Arms in Alltwen is a similar distance away and serves good food, real ales and has an open fire. The Pontardawe Inn is a great traditional Welsh pub with lots of character (the pub is known to locals as the ”˜Gwachel’ and hosts the famous Pontardawe Festival). It is a fifteen minute walk from the cottages (downhill!). The Dyffryn Arms in Bryncoch is also a great pub for a quiet drink. It is around 3 miles away on the road between Pontardawe and Neath. The Lamb and Flag in Bryncoch also has a very good reputation for food and drink. For more info on which pubs serve good food, please see our Good Local Pub Grub Guide. Religious Services. The nearest religious services are: Cilybebyll Parish Church, Cilybebyll Anglican Church in Wales – a lovely ten minute countryside walk from our holiday cottages. Eucharist services are held in English at 9:15am on the first Sunday of every month and 10:45am thereafter. For other services see the Cilybebyll Church website. Ebenezer Rhos Independent Chapel, Neath Road, Rhos. Non Conformist Congregational – 1 mile from holiday cottages Bilingual services (predominantly Welsh with some translation) are held every Sunday 10:30am. All the major world religions have a presence in South Wales. If you would like to find a service that’s suitable for you, please inform us and we will help you to find one. Sport. Premier League football side Swansea City and the Ospreys Rugby Club both play at the Liberty Stadium which is an easy 8 miles drive down the valley from our cottages. Glamorgan County Cricket Club play most of their homes games at Sophia Gardens in Cardiff, which is within walking distance of Cardiff train station. Supermarkets. The nearest supermarket to our holiday cottages is the Tescos 24-hour Supermarket in Pontardawe. Despite claiming to be 24-hour, what this actually means is that they are open non-stop from 7am Monday until 10pm on Saturday. They are also open on a Sunday between 10am and 4pm. Pontardawe also has a Somerfield and a Lidl. Neath has a Morrisons, 24hr Tescos, Marks and Spencer’s and Lidl. The nearest Sainsburys and Asda are in Swansea. Tourist Information Centres. There are two official Tourist Information Centres nearby. Pont Nedd Fechan TIC is 12 miles away and ideally situated for Waterfall Country. Swansea TIC is 10 miles away and open throughout the year Monday to Saturday 9:30am-5:30pm. 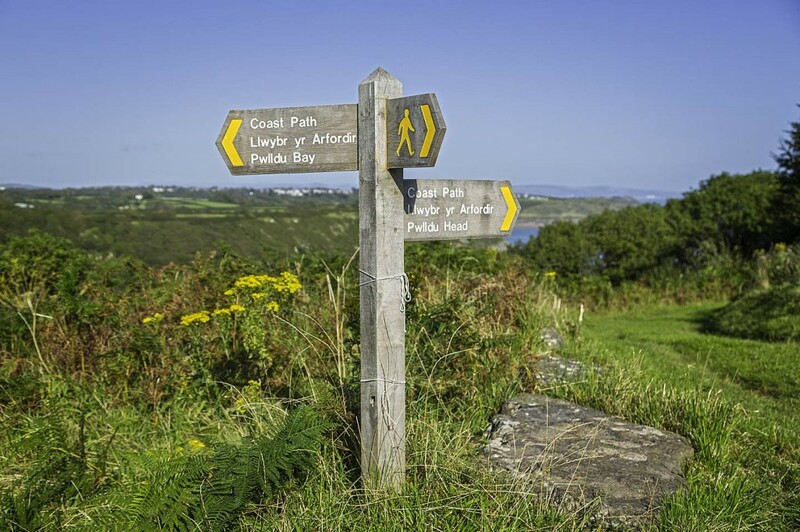 If you are unable to visit an official tourist information centre, the Wales Tourist Board operates a Holiday Advice Telephone Helpline 0870 8300306 which offers information on all aspects of holidays in Wales – activities, events, places to visit, holiday ideas etc. The line is open from 9am-9pm on weekdays and 9am-6pm on weekends and bank holidays. Another good source of information are the local council websites. For our locality, you can look at Neath Port Talbot Borough Council and the City and County of Swansea websites. Welsh. Welsh (or Cymraeg) is the language of Wales and the oldest language in Britain. It is a Celtic Language and is closely related to Cornish and Breton. According to the 2001 census, some 457,946 people can read, write and speak Welsh. This represents 16.3% of the population of Wales although there are substantial variations between the proportions of Welsh speakers in different communities, varying from below 5% to above 85%. In general the higher proportions are in north Wales, although pockets of Welsh speakers exist in the south. The upper Swansea Valley is one such pocket and 42% of the population of Pontardawe are fluent in Welsh. This compares with 13.4% for the City of Swansea and 11% for the capital Cardiff (2001 Census). It is highly likely that you will hear Welsh spoken on the streets of Pontardawe, particularly among the older generation. You needn’t worry though everyone is also fluent in English! Try out our essential phrases. Information on planes, trains, automobiles and buses for guests at our holiday cottages. Ever wondered how many people live in Wales? Why the leek is considered a national emblem? What an Eisteddfod is? Where to see dragons? South Wales has some fantastic nightspots including one of Britain's most famous pub crawl's 'The Mumbles Mile'. Been shopping all your life and still got nothing to wear? Info on South Wales' shopping centres including Swansea and Cardiff, which now offers one of Britain's best shopping experiences.